Our commitment to our neighbors starts with you. The Villages® Regional Hospital (TVRH) is part of Central Florida Health (CFH) which is a locally owned and governed not-for-profit healthcare system and the largest, most comprehensive provider of healthcare services in the region. CFH provides services to Lake, Sumter, and Marion counties through inpatient acute hospital services at The Villages® Regional Hospital (TVRH), inpatient rehabilitation services at TVRH Rehabilitation Hospital, geriatric-psychiatry services at the LRMC Senior Behavioral Health Center and diagnostic laboratory services at several locations. As a premier healthcare provider, The Villages® Regional Hospital (TVRH), takes pride in providing progressive, innovative technology, along with building strong relationships with patients, families, physicians and residents of the communities we serve. 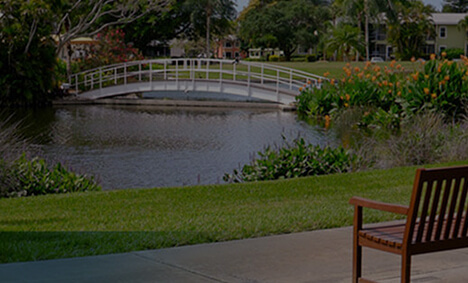 What makes a successful Registered Nurse at The Villages® Regional Hospital? Check out the traits we’re looking for and see if you have the right mix. Central Florida Health (CFH) is a locally owned and governed not-for-profit healthcare system and the largest, most comprehensive provider of healthcare services in the region. CFH provides services to Lake, Sumter, and Marion counties through inpatient acute hospital services at The Villages® Regional Hospital (TVRH) and Leesburg Regional Medical Center (LRMC), inpatient rehabilitation services at TVRH Rehabilitation Hospital, geriatric-psychiatry services at the LRMC Senior Behavioral Health Center and diagnostic laboratory services at several locations. As a premier healthcare provider, CFH takes pride in providing progressive, innovative technology, along with building strong relationships with patients, families, physicians and residents of the communities we serve. To learn more, visit www.CentralFloridaHealth.org. Under the direction of the director/charge nurse, the RN utilizes the nursing process, facilitates patient care making nursing assessments and diagnosis, formulates care plans based on the diagnosis and implements and evaluates the plan of care. Be the first to know about new job opportunities. By signing up for job alerts, you’re automatically signed up to receive email and text alerts from The Villages Regional Hospital. Applicants may contact our applicant support if they need assistance with an application.